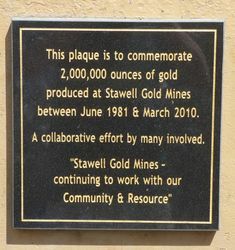 A monument and observation area commemorate the extraction of 1,000,000th and 2,000,000th ounces of gold from the Stawell gold mines. 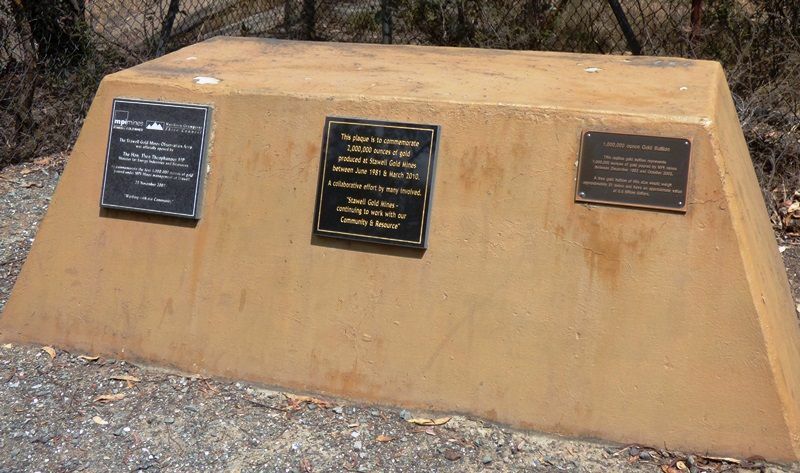 between June 1981 & March 2010. A collaborative effort by many involved. 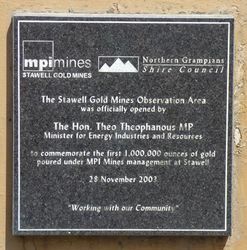 Mines between December 1992 and October 2003.